Given that your employees’ passwords are often used across dozens of sites so they can be remembered, there is not enough security for your organization's Web-accessible applications unless you require multiple factors of authentication. Fortunately, with Auth0, you can easily add multifactor authentication for employees to existing and new Web and mobile applications to increase your security posture. On August 5, 2014 the New York Times reported that Russian hackers had amassed the largest known collection of stolen internet credentials, including 1.2 billion user name and password combinations. Compounded with the propensity of people to reuse passwords across sites and applications, a clear and present security threat is in play, and is getting worse. Without multi-factor authentication, security is a joke, so we have to enhance our existing and new applications to require it when appropriate. As username and password exploits continue to dominate the headlines and threaten the security of even the strongest global companies and brands, security experts agree that adding multifactor authentication (MFA) to login flows can help mitigate this vulnerability and strengthen their security posture. In a multifactor authentication scenario, in addition to username/password, users may be requested to provide additional credentials to verify their authenticity such as a fingerprint, retina scan, facial or voice recognition, a one-time password from a hardware or software token, an SMS texted code, an email delivered code, answers to secret questions, or their physical location – the list goes on and on. Additional “something you know”, “something you have” or “something you are” factors can be requested at initial login to ensure the identity of the employee who wants to use a given application. Additionally, a technique known as contextual MFA is gaining in popularity, whereby requests for additional credential factors are based on the context of the user’s interaction such as a group they are in, access from a new device or location, the value of the resource being accessed or the time. Auth0 can be used to enhance both existing applications, for which there may be no source code, and new applications, for which source code is available. For existing applications, the Identity Provider (IdP) configuration setting is changed from the existing IdP to Auth0. This allows Auth0 to operate as a broker, adding value through the authentication flow as MFA, contextual MFA, logging user activity, and more while it brokers requests to the existing employee IdP. New applications use the Auth0 APIs through convenient, platform-specific SDKs using the code samples and customized step-by-step guidance that developers highly value from Auth0. (i) Use practically any of the dozens of MFA solutions that exist today including SMS Text, email, biometric, password-less and more. Broad support for MFA service providers is enabled through powerful authentication flow “rules” with Auth0, which are described below. An example of rules being used to incorporate the YubiKey USB device can be found here (https://auth0.com/docs/multifactor-authentication/yubikey). (ii) Add contextual MFA which allows you to define arbitrary conditions that will trigger additional authentication challenges to your users for increased security, for example, geographic location (geo-fencing), address or type of network used (IP filtering), time of day, day of the week or change in the location or device being used to log in – whatever you have access to, as described here (https://auth0.com/docs/multifactor-authentication). 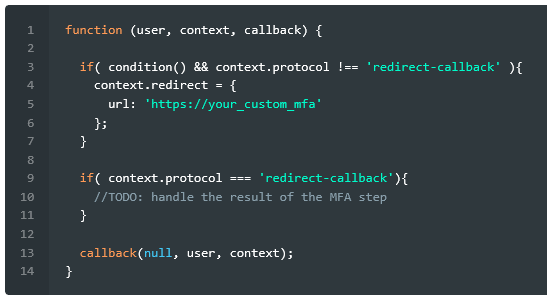 If an external IdP is being used that already supports MFA, you can choose to use that MFA flow conditionally. (iii) With the flip of a switch in the Auth0 dashboard, add or remove the popular Google Authenticator MFA experience (https://en.wikipedia.org/wiki/Google_Authenticator) or the Duo Security MFA experience (https://www.duosecurity.com/) into the authentication flow. No rules are required to use these services, because Auth0 has already written them and made it as easy as flipping a switch. Auth0 provides rule templates to speed the creation of new rules and a large number of useful rules are have been contributed by the active community on GitHUB (https://github.com/auth0/rules). Auth0 can be used to provide a full SSO capability that can span the enterprise and the Web, should an organization wish to implement SSO in addition to MFA. It can also federate with numerous corporate identity providers as well as social and commercial identity providers with the flip of a switch in the Auth0 Dashboard to support partners and customers in addition to employees, should the need arise. 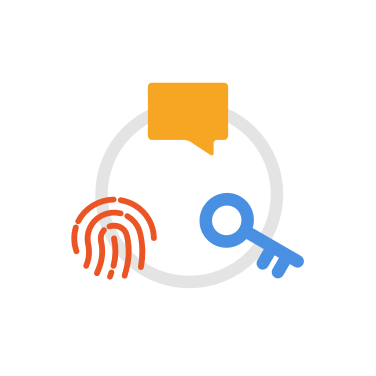 Auth0 makes it easy to incorporate MFA and contextual MFA into the employee’s experience for both existing and new applications, which is essential in today’s world where username/password pairs offer little protection. Once it is being used for MFA, Auth0 provides the opportunity to add other capabilities such as keeping user activity logs, single sign-on, federated login with social or commercial identities and more. With Auth0, getting MFA implemented for all of the applications your employees use every day is easier than you think.